Apple’s discount on USB-C adapters was set to end on December 31st, but the company extended that out to March 31st, 2017. The extension means new MacBook Pro owners have more time to but the dongles they need at a substantially lower price. 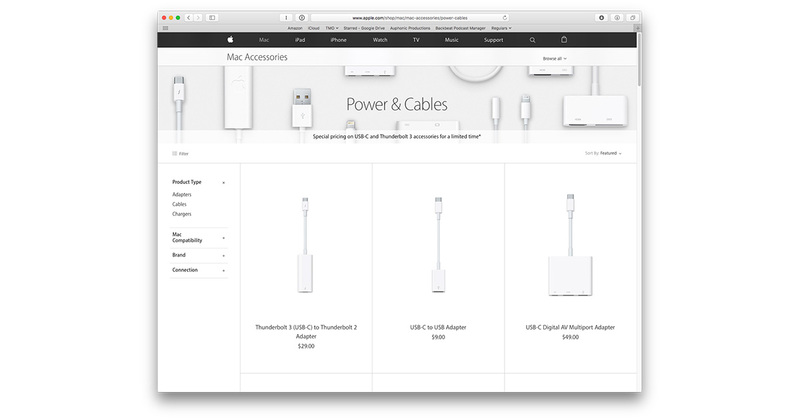 Apple temporarily lowered to price for some of its USB in response to customer complaints about having to buy all new adapters for their USB and Thunderbolt devices, along with external display adapters. Currently you can buy Apple’s USB-C to USB adapter for US$9 instead of $19, Thunderbolt 3/USB-C to Thunderbolt 2 adapter for $29 instead of $49, and the USB-C Digital AV and VGA multiport adapters for $49 instead of $69. The discount prices are available in Apple’s retail stores as well as on the company’s website.